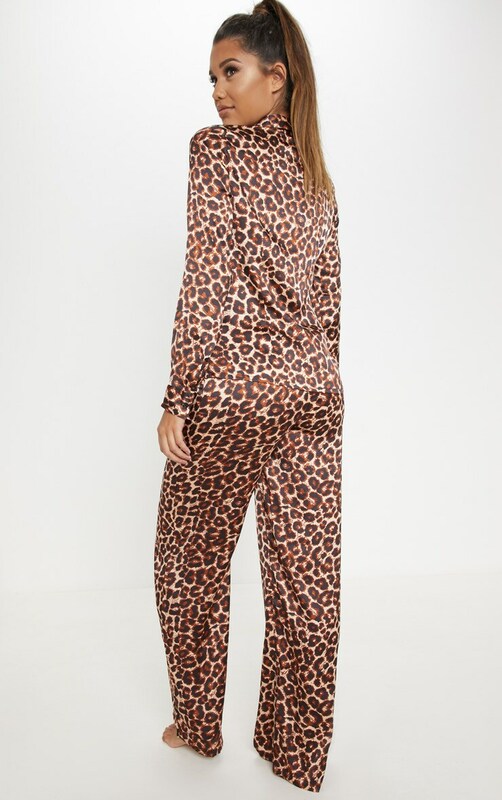 Update your lounging look with this pyjama set. Featuring a button up shirt with elasticated waist trousers both in a leopard print, satin fabric. 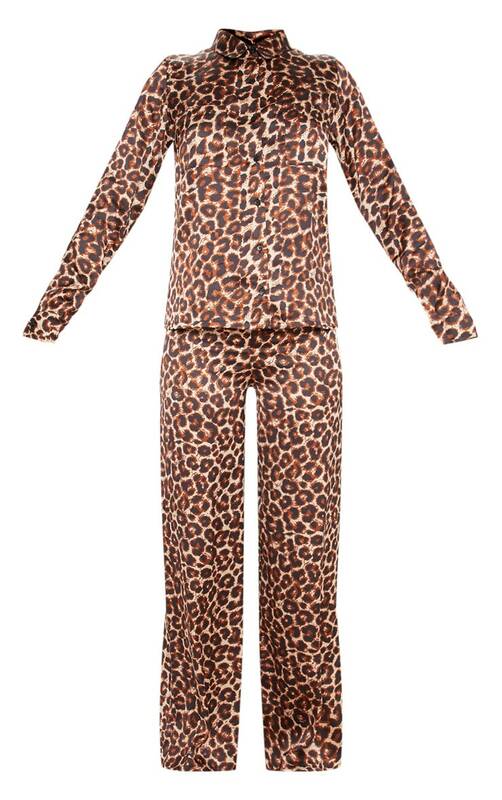 We love this teamed with a fluffy dressing gown for the perfect pyjama party look.